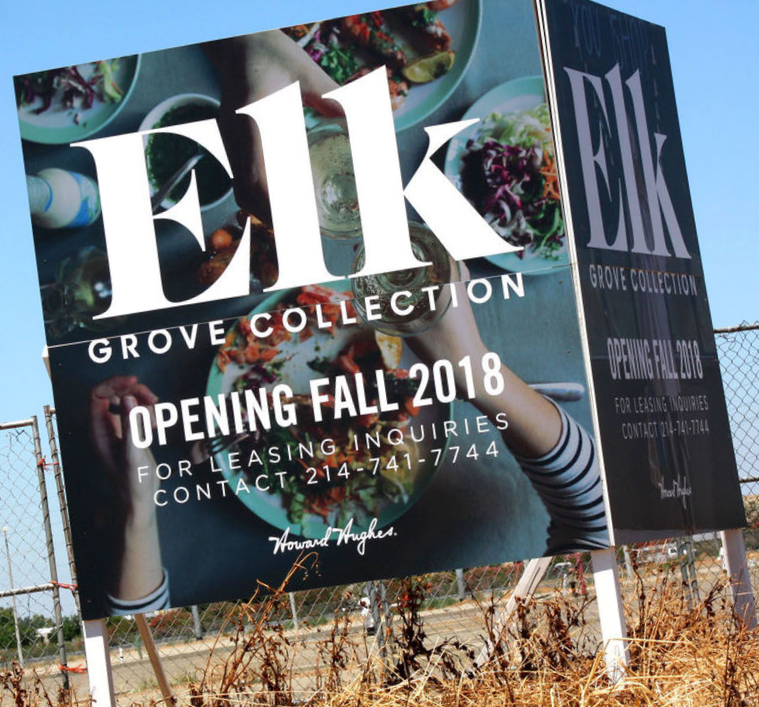 If one were to look at the progress, or lack thereof, of the unfinished Outlet Collection at Elk Grove as a gauge of the property's owners ability to move developments along, an inaccurate picture would be illustrated. The facility, disparagingly known as the Ghost Mall, which has sat unfinished for almost 10 years on the south side of Elk Grove is owned by Dallas-based Howard Hughes Corporation. While HHC has repeatedly pushed resumption of construction up by one year for the last several years - recently Elk Grove Mayor Steve Ly confirmed that HHC told him construction would restart in 2019 - activity at the site, aside from the posting over a new sign every few years, is non-existent. While the pending litigation on the proposed adjoining $400 million Wilton Rancheria casino might be putting a damper on supposed HHC leasing activities, the retail environment has changed to the point where an outlet mall may no longer be feasible. While the Outlet Collection remains in a state of suspended animation, HHC continues to move forward on several other developments in more visible locations. One such project that HHC is vigorously pursuing is the development of Ward Village, its 60-acre master planned community in Honolulu’s urban core. According to information released by HHC, their Ward Village development was the recipient the “Master Planned Community of the Year” at The Nationals℠ Awards gala held on January 9 in Orlando, Florida. In addition to the award bestowed this week, Ward Village was also recognized as the “Best-Planned Community in the United States” by Architectural Digest, and the “Best On-the-Boards Mixed-Use Project” and “Best Community Site Plan” at the 54th Annual Gold Nugget Awards presented by PCBC, the largest annual homebuilding trade show in the Western United States. In addition to the mixed-use Ward Village, HHC is pursuing the large master planned communities. Those projects included the 22,500-acre Summerlin community near Las Vegas and Bridgeland, an 11,400-acre master planned community located in Cypress, Texas. Undoubtedly, HHC has the know-how and access to the capital to complete these large-scale projects. As HHC undertakes and vigorously pursue these opportunities, the Outlet Collection at Elk Grove lies fallow. EGN is being unfair. The glass is either half full or half empty. I prefer to view the mall site as being half full. As the city courts high-end employers and executive housing, all the staff need to do is take them on a tour of the Hwy 99 corridor and our city will sell itself! A brand new Goodwill store recently opened up at the EG Blvd. offramp and a Quick Quack car wash is approved at the onramp! Take them towards the mall site and point out the "award winning" overpass at Kammerer/Grant Line and we will have them eating out of the palms of our hands. As they look over at the mall site, drive them around to the west side and point out all the new cars parked neatly in rows out front. This proves that Elk Grove residents have a high income and buy new cars all the time! EGN would have us believe it is a "ghost mall". No way! Tell them the mall is a museum and represents the latest style in architecture known as "Deconstruct"
Wikipedia describes Deconstructivism as "a movement of postmodern architecture which appeared in the 1980s, which gives the impression of the fragmentation of the constructed building. It is characterized by an absence of harmony, continuity, or symmetry. The finished visual appearance is characterized by unpredictability and controlled chaos". And if that doesn't sell them on Elk Grove, tell them the Howard Hughes Corp. is also planning to build a replica of the Spruce Goose to display at the site! Yes, the glass if half full and that Honolulu master plan has nothing on us!